This WiFi camera is ideal for home security, keeping an eye on your baby, or just answering the door. Whether it’s wrangling kids or avoiding break-ins, home security cameras are a must for many situations. Some security cams are a complex mess. But others, like this new smart Wi-Fi camera from Sinji, are a cinch to set up and use. The Sinji Smart WiFi Camera records in sharp 1280p for a super-clear picture that streams straight to your mobile device. Just download the app, or you can save footage straight to an SD card. Additionally, this security cam packs an ultra-wide-angle, zoomable lens for excellent visibility, and infrared sensing for nighttime recordings. You can link multiple cameras for full coverage, and get push notifications when they detect motion. The cam also offers two-way communication, making it perfect for baby monitoring or chatting with visitors at your door. 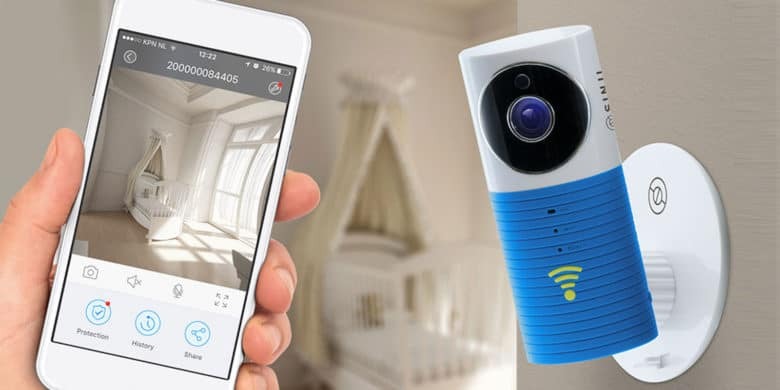 Buy now: Get a Sinji Smart WiFi Camera for $45, a 54 percent off the usual price.